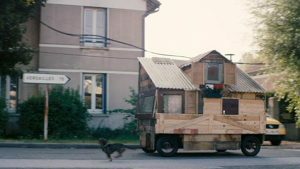 With one foot in a world of solemn realism and the other in one of fanciful whimsy, Michel Gondry has created some of the most unique, thoughtful and playful films of the 21st century. From his English-language Eternal Sunshine of the Spotless Mind to his surreal, Paris-set La science des rêves (The Science of Sleep), Gondry is known for profound stories of loneliness, disillusionment and unbridled imagination. His films explore the complexities of memory, identity and the loss of, and search for, the self. In almost every one of his films, Gondry uses creative cinematography, graphics and special effects in heavy-handed ways to blur the line between fantasy and reality. Yet in a complete turnaround from his preceding film Mood Indigo, largely considered his most bizarre creation, Gondry’s latest offering makes a clean departure from cinematographic tricks or illusions. With subtle camerawork, naturalistic lighting and pared-back performances from actors like Audrey Tautou, Gondry’s French-language Microbe et Gasoil (Microbe and Gasoline) tells a simple, yet nonetheless whimsical, tale. 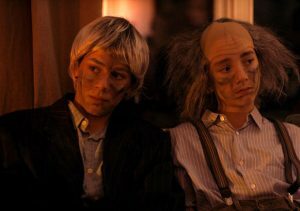 Shy, sweet and insecure Daniel (Ange Dargent) has earned the name Microbe for his small stature, while charismatic dreamer Théo (Théophile Baquet) is an amateur fixer-upper nicknamed for his constant odour of Gasoline. Uninspired and uncomfortable in their small-town lives, the two 14-year-olds concoct a brilliant plan to escape the mundane and embark on a journey. Filled with gorgeous and iconic imagery, Gondry’s coming-of-age drama is poignant yet light-hearted, and conveys the affection and intimacy of a semi-autobiographical film. 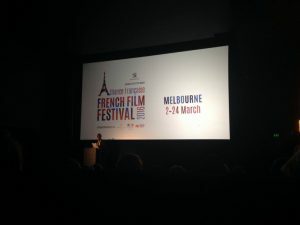 We thank the Alliance Française Melbourne French Film Festival 2016 for the advanced media screening of Microbe et Gasoil. Book tickets to the AFFFF, and Gemma’s Melbourne Festival Q&A following the Arnaud Desplechin film Trois souvenirs de ma jeunesse, here.